In 1485, on England’s Bosworth Field, the armies of Henry, Earl of Richmond, sought to overthrow King Richard III. Richard summoned his troops and called for his best horse. According to legend, the king’s blacksmith ran out of iron and could not make enough nails to secure all of the horse’s shoes. 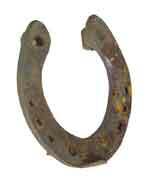 The blacksmith fixed the fourth shoe as firmly as possible without nails, hoping it would last. In the midst of battle, King Richard saw a weak spot in the enemy’s line and quickly turned his horse to investigate. The shoe broke loose, the horse stumbled, and Richard fell to the ground. His horse bolted, and both Richard and England soon fell into Henry’s hands. Never underestimate the importance of your work. When someone breaks a promise to you, you feel disappointed, hurt, or betrayed. Ask yourself what promises you have broken and how your inconsistency affects others. If you made a promise that was premature or that you cannot keep, go to those involved, explain your situation, and figure out how to make restitution for their losses. 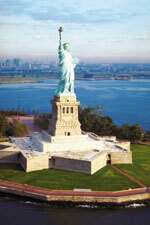 The Statue of Liberty symbolizes freedom and opportunity, but great freedom requires greater dependability. When you take good care of your room, parents can more likely trust you with a car. If you do what is right when no one else is at home, you will more likely do what is right when you go out with your friends. Take responsibility for your actions. Do not blame others for your bad decisions. Take good care of your belongings. Stand up for the weak or vulnerable. Do not use drugs, alcohol, or any other substances that contribute to irresponsible behavior. After reading this lesson, discuss the following questions with a parent, guardian, or teacher. Why should you think about promises before you make them? What are some of your responsibilities at home? How can you show dependability by doing your chores? How can drugs or alcohol keep you from being a dependable student, family member, and citizen?